The Cathedral Room is the former sanctuary of the old church building on North Street. Der Harrisburg Maennerchor has called this sanctuary home for the better part of the last 90 years. 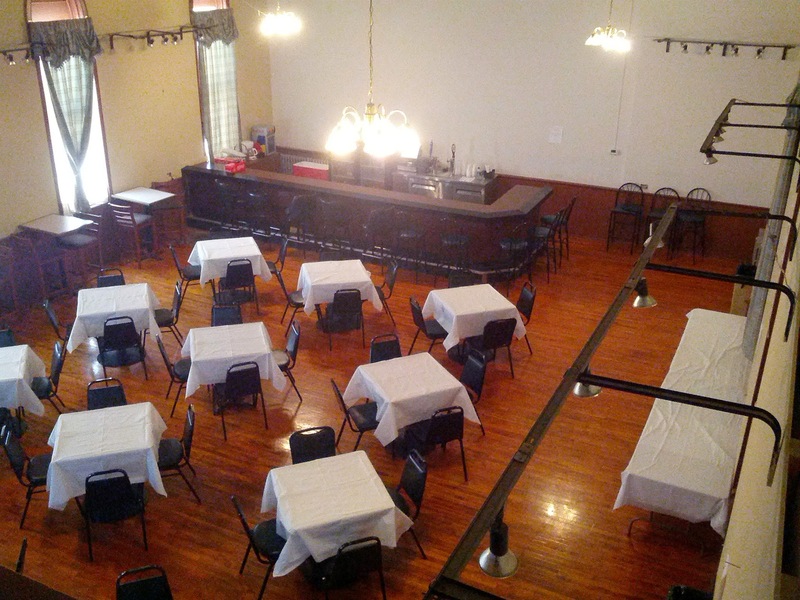 This spacious room is available to rent for your next event at the lowest rates in town. The Cathedral Room offers a bar along with catering options, and ample wall space and accent lighting for your photographs, art, or decorations. This space has lots of character from the original choir loft to the lancet windows and the ceiling rosette. The maximum capacity is 95 people. And even a local Comic Convention! Please book the room 1 month in advance in order to properly prepare for your rental. For questions or rental inquiries, please contact: Danielle Smith, Bar Manager at Derhbgchor@gmail.com or call 717-233-3011 and leave a message.